This is a Polaroid SX-70 Land Camera Model 2 with a white plastic body and new black leather covering. 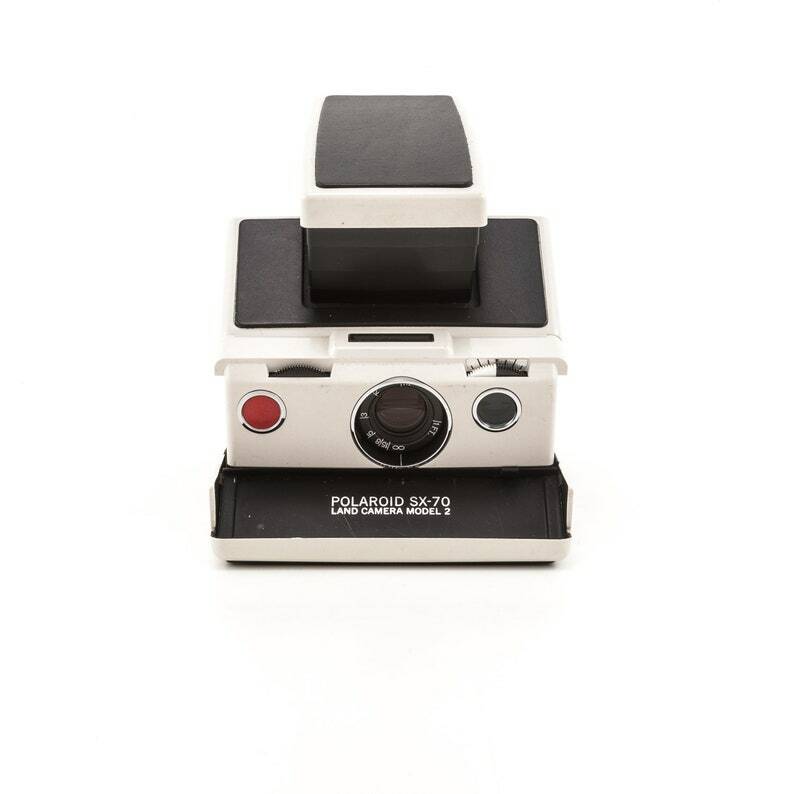 The Polaroid SX-70 was the first instant SLR on the market. • This camera has been reskinned with a new black leather covering. • The frame is in great condition and opens and closes smoothly. • The split image viewfinder is clear, bright, and works perfectly. • The camera was disassembled, reconditioned, and reassembled with care.